ISLE OF MAN – Microgaming launches Crystal Rift™, a graphically rich new game developed exclusively by Rabcat, the creators of Castle Builder II™. Merging cascading reels, engaging game mechanics and a treasure-trove of features, Crystal Rift™ slot takes players on an underground expedition to unearth precious crystals and big wins. With its unique Wild Grid feature, which adds mystery to every spin, complemented by Bonus Falls, Rabcat has created a thrilling gaming experience, presented in a sleek, modern style. 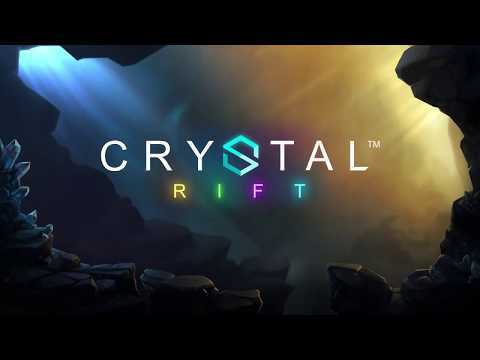 Set in the depths of a gemstone-rich cavern, Crystal Rift™ delivers a truly unique player experience packed with win-boosting features and stunning visuals. We are proud to once again provide content exclusively to Microgaming.